THE DEVIL AND DANIEL WEBSTER The play, The Devil and Daniel Webster is about a guy, named Jabez Stone, who gave his soul to the devil, Mr. Scratch, so he could marry Mary. Daniel Webster is one of Jabez's neighbors and friends, he is trying to help Jabez get his soul back. These fine two fellows have a trial against the devil and the jury of the dead. This was very unfair for Daniel and Jabez, because the jury was the actual dead and they were only listening to the devil, Mr. Scratch, and the judge, Hawthorne. The end of the play was very interesting to me and I would recommend this play for anyone to read. The Play Construction of "The Devil and Daniel Webster"ÃÂ: The exposition of this play is on page two hundred eighteen through two hundred nineteen, where there are people talking about how nice Mary and Jabez Stone's wedding was. The inciting action of The Devil and Daniel Webster is on page two hundred twenty-four through two hundred twenty-six, this is where the devil, Mr. Scratch, shows up and things that are going for Jabez start to go down hill. The rising action is on page two hundred twenty-seven through two hundred thirty. This is where the white moth shows up, that was in the devil's box. Jabez gets more uncomfortable as this happens. The climax is on page two hundred thirty-one through two hundred thirty-four, these pages show what actually happened to Jabez and he is waiting for the devil, for him to come and take him away. Webster is waiting for him. The falling action happens when Webster and the Devil have a trial over Jabez's soul. This can be found on page two hundred thirty-eight through two hundred forty-three. 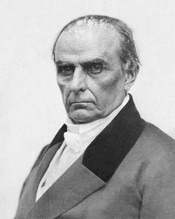 The Conclusion of the play is when Daniel Webster wins the trial over the Devil, by praying to god and having Mary praying for Jabez and himself. This can be found on page two hundred forty-four through two hundred forty-six. WriteWork contributors. "Devil And Daniel Webster" WriteWork.com. WriteWork.com, 27 October, 2001. Web. 25 Apr. 2019. Research paper comparing Washington Irving's "The Devil and Tom Walker" and Stephen Vincent Benet's "The Devil and Daniel Webster"